Are you in the Raleigh, Wake Forest, or Triangle area and need a place to pamper your pup? Woofinwaggle is now offering self-grooming services! Our self-grooming services give you and your dog(s) access to all our tables and tools for the best groom possible. We provide human grade bath products made in the U.S. with top quality natural ingredients so that your pups get treated with top-tier products. Woofinwaggle employees will also be around to help you or answer any questions you have about self-grooming, and which styles we think fit best for your pup! 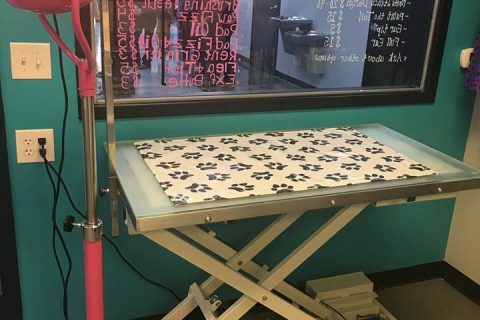 If you think you want to stop on by for a dog-groom, feel free to contact us to ask about space and any other questions about our dog grooming tools!